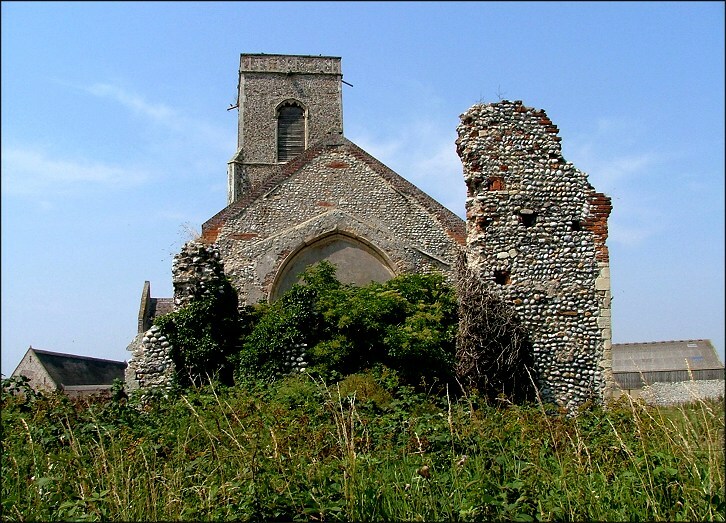 Ah, the crumbling churches of north-east Norfolk! To have come here in the mid-19th century would have been to do a journey through ruins, but slowly they were mostly patched up during the years that turned into the 20th century. 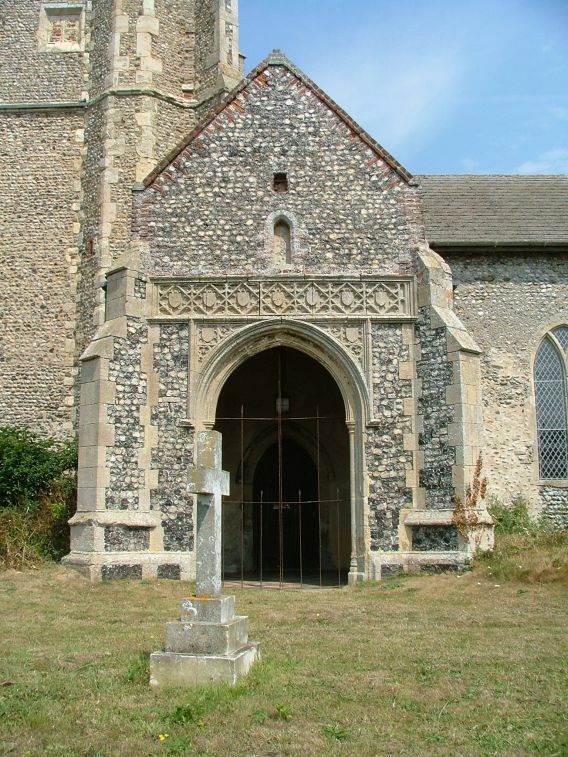 Now, Sea Palling is as spick and span as a new pin, Mundesley and Sidestrand are full of the feeling of the Anglo-catholic revival, and up in Sheringham and Cromer there are fine, urban churches where once were haunted shells. 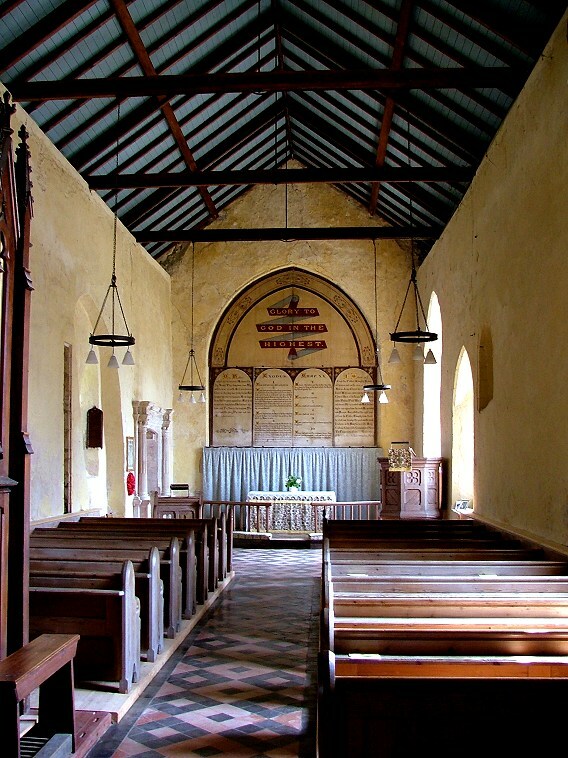 But some were restored more enthusiastically than others, and to get a feel for what once was, the edginess of a coastal church near to falling down, you need to come to Waxham. 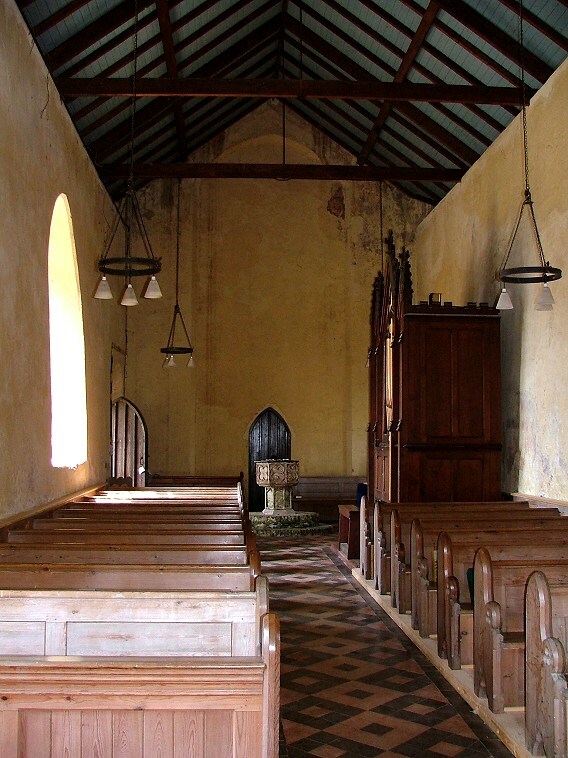 Even without the church, there is a feeling that this is an ancient place. Waxham Hall, next door, was the home of the Woodhouses and then the Calthorpes, and in the late 16th century the first of these two families built the massive Waxham Great Barn, the village's most famous building. 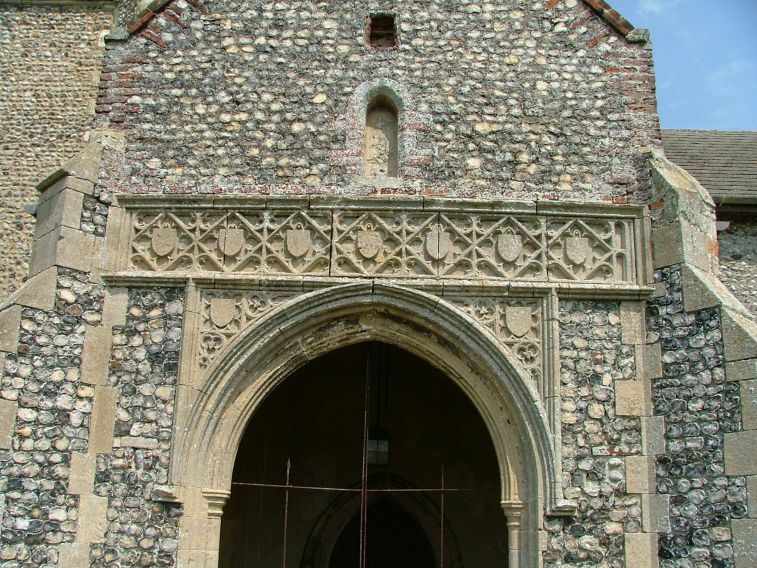 It is the biggest barn in East Anglia, and was probably intended as such to compete with the Paston Great Barn further up the coast, a show of conspicuous consumption. It is a grade I listed building, and you can visit it. 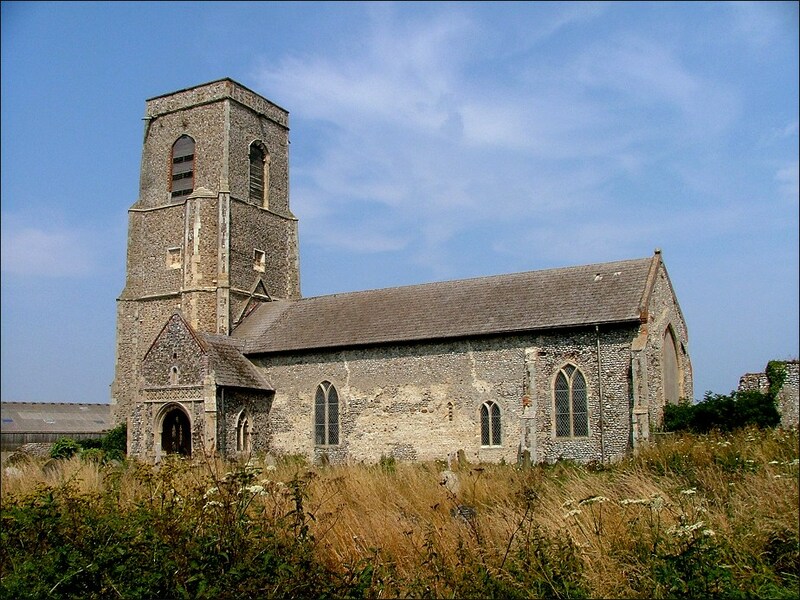 On this day in high summer, the church floated like a ship in the dusty graveyard, and the roads all around were clogged with holidaymakers' cars, parked here so that they could walk across the dunes to the beach below. And, despite its ancient buildings, Waxham does feel as if it is tenuous, and on the edge; the soil is sandy, and beyond the slight village the land dissolves into a rolling greenness intercut with drains, the sea wall beyond. 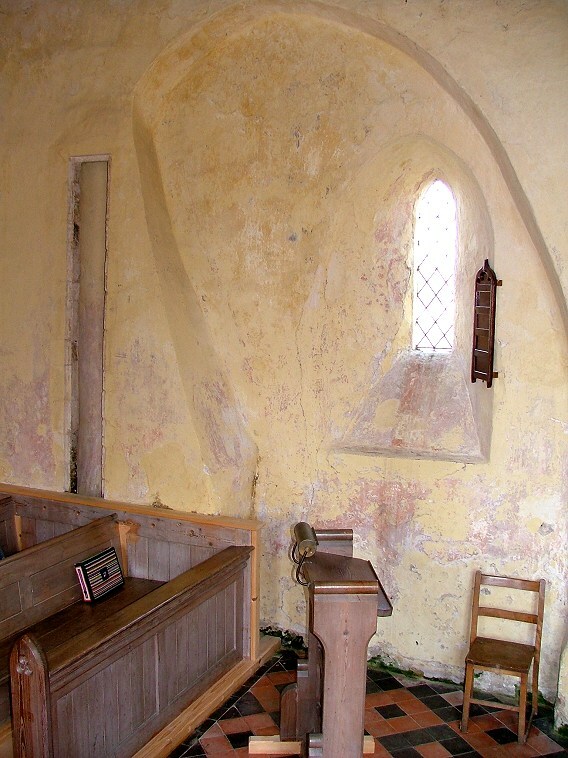 The chancel here was derelict shortly after the Reformation, and the tower looks as if it had intentions of going the same way. 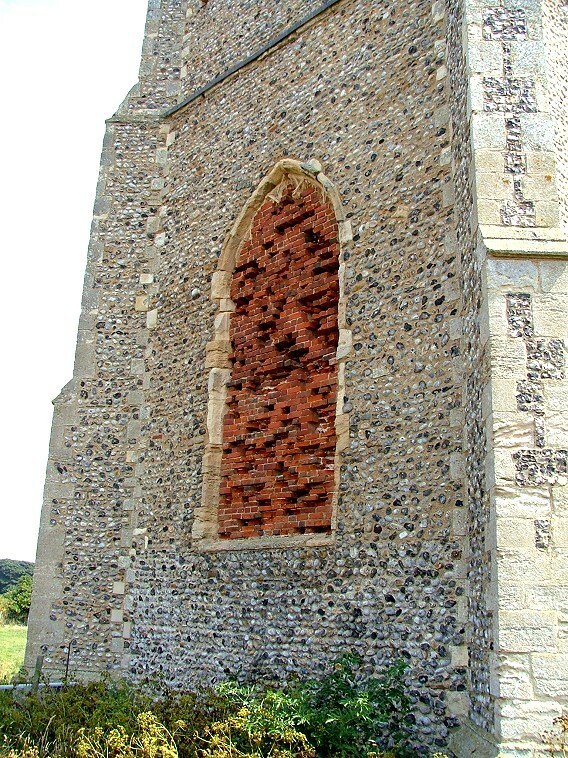 The relief is weathered, the features eroded, and the west window long since filled in with red bricks which are themselves beginning to erode and fade. You step into an interior which is charmingly simple. It could be that of a non-conformist chapel. The tower arch has been completely blocked off. 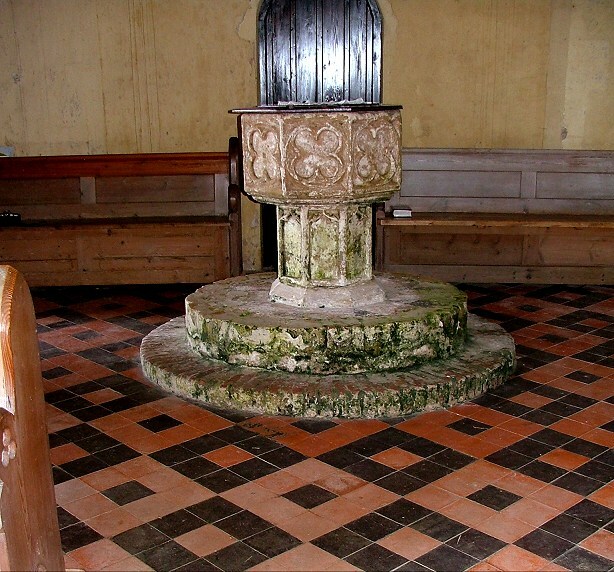 The font is covered in green damp, and the Victorian floor tiles echo a jolly, painted roof. 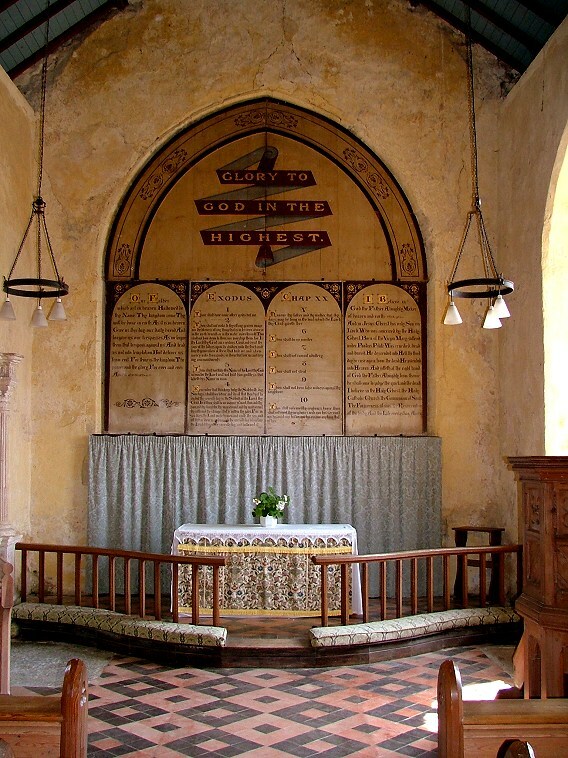 The chancel arch has been filled in with decalogue boards and a Victorian tin tympanum reminding us to give Glory to God in the Highest. 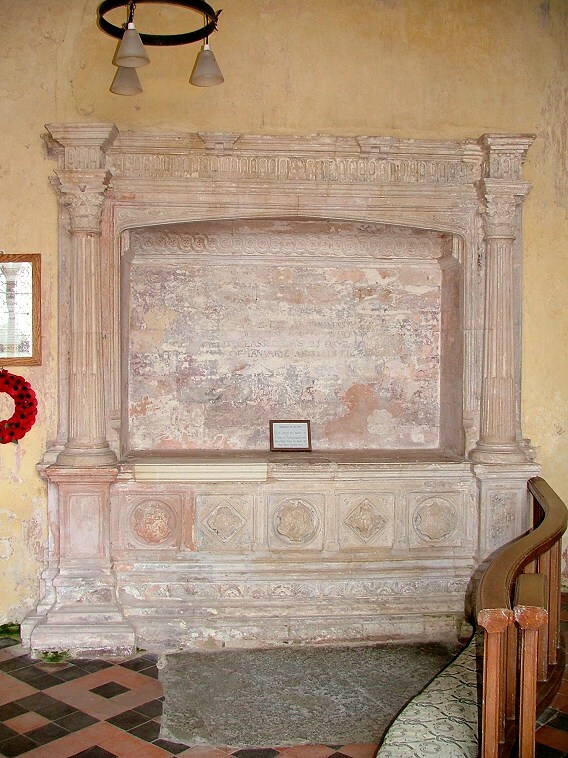 There is a large late 16th memorial in the north wall with a painted inscription to Thomas Wodehouse, who built the great barn. Not far off is another banner stave locker like that at Sea Palling. The walls are plain and creamy, with echoes of past openings now melting like ice cream. An intriguing little space, quite different to the glories of the neighbouring Hall and the restored Great Barn, with an atmosphere all of its own, and worth a visit for that alone.